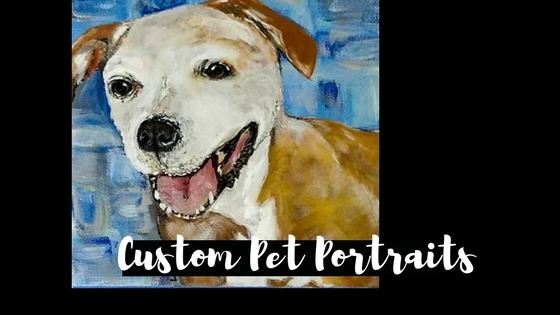 Create a timeless memory of your beloved pet. 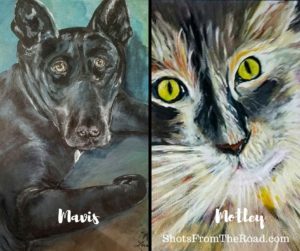 What better way to celebrate love and companionship than with a pet portrait painting? Or give a spectacular gift to that special pet lover in your life. Nothing shows how much you care, then a custom gift. You can be sure that the gift you are giving will be both sentimental and timeless. Having had many pets throughout the years, I get just how much they become a part of our families. 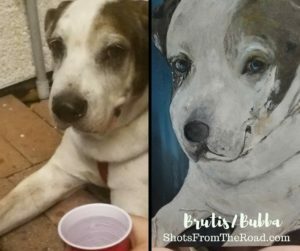 My goal when doing a pet portrait is to capture that unique personality that makes us love them so. Using a photo you provide or compiling multiple photos, I will capture the essence of the one you love. I only use the highest quality materials and will work with you until you are satisfied with the outcome. To order simply send me the reference photos and what size and medium that you would like, along with your contact information. I will then email you a quote based on your specifications. Not sure specifications that are needed as it is a gift for that special someone, no worries, we offer gift certificates in our shop. Certificates can be mailed or emailed directly to them with a special note from you personally. Gift Certificates do not expire and allow the receiver to have the pet of their choice done to fit their personal style. 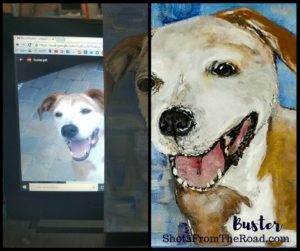 The pet portrait painting will be hand painted directly from your photos. Paintings can be done on gallery wrapped canvas ready to hang or on canvas board suitable for framing. I can work in acrylic, oil, or pastels. Normally I will have a draft ready for you within a few days and the whole process will only take seven business days to complete for acrylic. Oil does take longer, due to the drying time and will be at least a month. However, you will receive photos of the work in progress as well as confirmation when the painting is shipped. 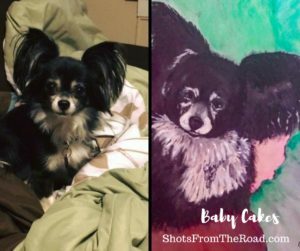 Purchase a pet portrait painting today for all your adorable friends! To help towards medical bills.